Christian came to me around Christmas of last year wanting to start following a diet plan. Anyone who knows Christian knows he has a good bit of muscle on him, and he walks around pretty lean. I knew working with him was going to be a fun time. Christian came to me eating fairly low calories. From Christmas until we were around 8 weeks out, we were slowly pushing calories up. 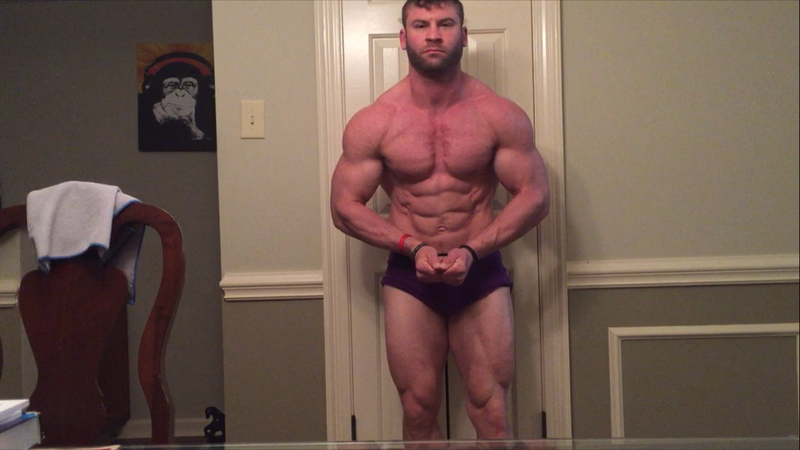 At the 8 weeks out mark, we tightened up a bit and made a few adjustments and coasted with that game plan until around 3 weeks out. Christian’s diet at 3 weeks out looked like the following: (please note that this wasn’t his exact diet. He may have eaten carbs instead of rice and different fats instead of nut butter. I just use meat, rice and peanut butter for examples.) He was around 190lbs at this point. Meal 1 – 5 oz meat, just under 2 cups rice. Meal 6 – 5oz meat, ½ cup rice, 1tbs peanut butter. Meal 7 – 5oz meat, 2 tbs of nut butter. Meal 4 – 45g amino acid, 90g HBCD. Meal 7 – cheat meal.